If your roof is doing its job properly, then you probably never give it much thought. But as we explained in our last post, you absolutely need a roof inspection prior to installing solar panels. That way, if your roof is showing signs of wear, you can make repairs before the solar panels go up. But what if the roof inspection shows that you need a whole new roof? Then it’s time to consider an energy-efficient roof. First, let’s define what we mean by an energy-efficient roof. To put it simply, an energy-efficient roof uses advanced materials and techniques to help keep your home cooler inside when it’s hot outside. In fact, installing an energy-efficient roof could save you as much as $20,000 in cooling costs over a 30-year period. Combine those savings with the savings from solar panels, and you’re looking at a significant chunk of change. In addition to saving you money, energy-efficient roofs are highly durable. Because of the way they’re constructed, they’re better able to withstand the elements, so they last longer. They can even make leaks less likely. When you decide to install an energy-efficient roof, you’ll first have to decide whether you prefer the look of asphalt composition shingles or clay or concrete tiles. Either way, your energy-efficient roof will start with insulated material to reduce the heat island effect. One of the most important components of an energy-efficient tile roof is the elevated batten system. Elevated battens allow the air to circulate more freely under the tiles, which prevents heat buildup and reduces heat transfer to your attic. And that keeps your whole house cooler. Elevated battens also reduce the risk of leaks because if water gets under the tiles due to a broken tile or flashing, it can flow out. With standard battens, there’s nowhere for the water to go. It gets dammed up, which can ultimately lead to a leak. A vented ridge works along with the elevated battens to help hot air escape from the roof. It can be used to vent hot air from the attic, as well. Vented eaves also help cool the roof by allowing cooler air to flow under the tiles, which reduces the overall roof temperature. The roof’s underlayment provides protection from the elements and acts as a waterproof barrier. Finally, the tiles themselves work to improve the roof’s energy efficiency. They prevent the sun’s rays from penetrating the roof and heating the home. In fact, tiles with an Energy Star rating reflect back at least 25 percent of the sun’s heat. Asphalt composition shingle roof systems also contain multiple energy-efficient elements. Intake ventilation allows fresh air to flow into the attic and reduces heat and moisture buildup, while exhaust ventilation vents out any accumulated hot air and moisture. An ice and water barrier works with to prevent water from getting in through the eaves or any dormers or skylights, while the underlayment protects the shingles and the roof deck from damage due to wind-driven rain. The asphalt shingles also make the roof more energy efficient. Look for thick shingles with a reflective coating to keep your roof cooler and reduce your home’s heat load. Plus, when the shingles stay cooler, they won’t age and crack as quickly. And that extends the life of your roof. An energy-efficient roof will save you money in the long run, but there’s no way around it—installing a new roof is expensive. Get the most for your money by working with a certified roofing installer so that you can take advantage of the most competitive prices and the best warranties. You should also look for a company that has a reputation for outstanding work and exemplary customer service.  At RC Energy Solutions, we’re proud of our A+ rating from the Better Business Bureau and our five-star reviews on Yelp. And we love to help our customers save money. That’s why we offer bundle discounts when you work with us for more than one project. Our highly experienced roofing professionals can install a new energy-efficient roof, and then our solar experts can come in and add solar panels. We’ll take care of your whole project at a fair price. We can also help you make sense of the financing options available for energy-efficient home improvements. Contact us today to learn about your options for an energy-efficient roof. We’ll also help you figure out how much you can save with a solar panel/energy-efficient roof combo. We offer a free, no-hassle consultation to assess your needs and create a customized, cost-effective whole-home energy solution. We look forward to hearing from you!